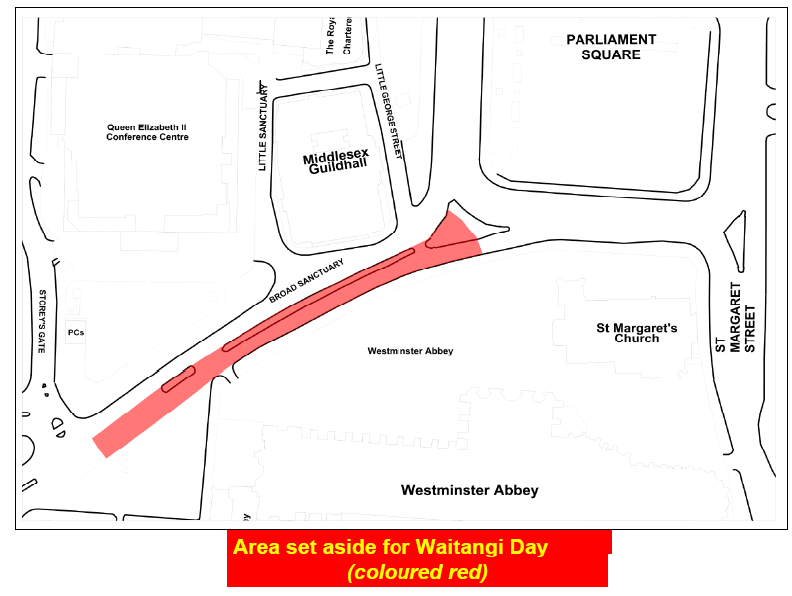 The Waitangi Day Pub Crawl: Everything you need to know! The 2019 Version! This blog is set up to give you all the best impartial news, information and details about the infamous Waitangi Day pubcrawl... Run by a team of easy going Kiwis from all parts of NZ, we're proud of being Kiwis and wish to keep this pub crawl going for many more years! Contact us via the Waitangi Day Facebook page https://www.facebook.com/waitangidaypubcrawl or by leaving a comment under any of the posts on this page! Everything you need to know! The 2019 Version! Here is all you need to know to survive the big day! Is the Circle Line open??? At this stage YES it is. Either way, you can walk all of it and turn it into an all day street party! But yes, it is open! Starting time? Starting locations? Date? 10am Saturday February 2nd 2019. If you're starting at the traditional time of 10am then head to the Pride of Paddington (map) or their website here) The Pride of Paddington is open earlier so get in and have some breakfast there! You can also go to the Bayswater Arms too - find the route map here for info! Also from 11:30am-12pm Notting Hill Gate will have a few of you starting there. The Old Swan will be open or you can hang around the Bird Statue. (the Old Swan website here) Mostly people get here around 11:15amish... depending on if they are walking or tubing. Here it is! Hit the link and all will be revealed! How much? Are there tickets? Is this free? It's all 100% free to do the pub crawl! Join in whenever along the route. It's free. The only cost is your drinks and the after parties! What can I expect from the day?? It's a street/pub party like you have never ever experienced before. Good natured fun, Kiwis having a laugh, meeting new friends, finding old friends, being good to the locals and not breaking any laws. Any rules? Instructions from the police? Don't be dicks. Don't carry glass about and listen to everything the cops say on the day. A full run down of what the police have told us can be found here. Advice from the NZ High Commission can be found here. Can we drink on the streets?? The Police will enforce the street drinking ban but they will be using their common sense, (and expect us to as well) just like every other year. Essentially, be sensible and follow instructions from the Police. If you have done the pub crawl in other years you are all aware that the police are very easy going and get into the spirit of the event - but that is because we are also good natured enough to not be dicks. No glass on the streets eh! We encourage when you see members of the public trying to get through the crowds to give them 100% your support and let them through. Give them absolutely no reason to complain, and surprise them with our typical Kiwi charm and politeness! 4PM at BROAD SANCTUARY you'll have Big Ben and the Houses of Parliament behind you. It's a nice space, the same as last year. The police will point you in the right direction. We have published a map at the bottom of this post for you! It will be very crowded here so listen to any instructions from the police and help any Kiwis out if they seem a little overwhelmed at this point. If you are pissed please try not to do the haka and leave it for the experts. We're trying to avoid having overexcited NZ TV crews beam us back home as looking disrespectful. Considering we have had no arrests in years and only 1 complaint in 2014, our pub crawl is nothing compared to something like to what it was like at the Wellington 7's and a night out in any big Kiwi city. Ok, what about the after parties???? Do I need tickets for anything?? We're throwing a massive bash in the biggest venue we can get our hands on - the LEGENDARY Infernos! Here's the event link! Grab your tickets!